Cold-water pressure washers provide successful results in part due to the combination of the unit's powerful spray impact and the application of suitable cleaning soaps and chemicals . Every powercare Hydro Pressure Washers is equipped with a quality nozzle to maximize the unit's cleaning potential and double the cleaning impact of the pressure washer . Manufactured in Italy with high-quality components. 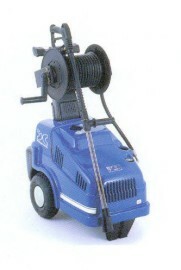 power-care" Hydro Pressure Washers provide more cleaning impact and are long-lasting. dependable and easy to manoeuvre. Each unit runs quietly and smoothly to constantly deliver excellent results and especially designed to withstand long hours of heavy-duty use over a period of many years.